Hendon is very local to Ladybirdz Mobile Beauty Therapy and situated in North West London in the borough of Barnet. Hendon is very local to Ladybirdz Mobile Beauty Therapy and situated in North West London in the borough of Barnet. It is 7 miles from central London and used to be part of Middlesex until the mid 1960’s. It is serviced by Hendon overground train station and also has Hendon Central tube station which is on the Northern line. 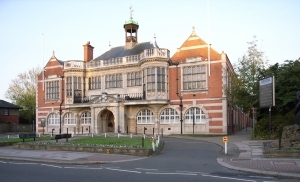 Hendon is home to the police college for the Metropolitan police service where police recruits are trained before they go to a Borough. Hendon is serviced by various bus routes that take passengers to locations such as Brent Cross shopping centre and Wembley Stadium amongst other locations. There are main arterial roads that run through Hendon these being the A406 which is commonly known as the North Circular Road, the A1 and the A41. Hendon Aerodrome is based in Colindale, RAF Hendon was the home of air defence for the city during the 2nd world war, it is also famed for the first parachute jump from a powered aircraft and the first night flight. Why not have Ladybirdz come and visit you at home in Hendon where I shall set up a spa area for all your beauty needs. Ladybirdz offers beauty treatments such as spray tans, waxing, eyelash and eyebrow tinting, eyebrow shaping, massage, facial, manicure and pedicure. Ladybirdz is based in North West London and is fully mobile. Ladybirdz is available for pamper parties as well as other occasions and can come up with packages for hen party ideas.